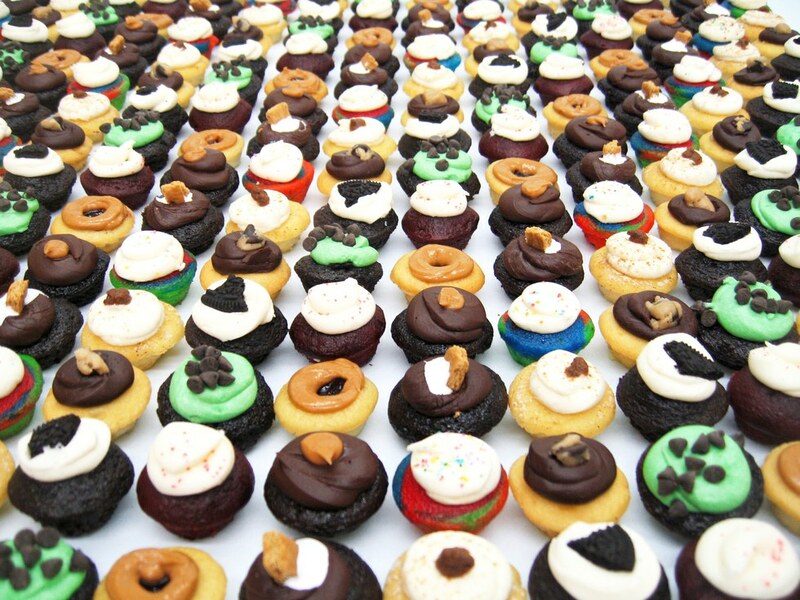 Check out this list to discover some of the best sweet treats NYC has to offer. I have a serious sweet tooth. This means that I have a serious love for all things sweet: cookies, cupcakes, ice cream, donuts, cupcakes, candy... you name it, I probably want to eat it. Of course, New York is a dream destination for any foodie out there - especially if you have a craving for sweet treats like me. Based on what I've seen on various social media accounts (lots of credit goes to all the food Instagrams that I follow), I have compiled a bucket list of sweet treats to try while in NYC. I've had to narrow it down quite a bit, so trust me when I say that I know that there will always be plenty more out there! What To Get: All of the flavors sound amazing, but bestsellers include The Munchies ("pretzel-infused ice cream with clusters of Ritz crackers, potato chips, pretzels and mini M&Ms ") and Ooey Gooey Butter Cake ("the creamiest vanilla ice cream with hunks of St. Louis-style Ooey Gooey Butter Cake"). 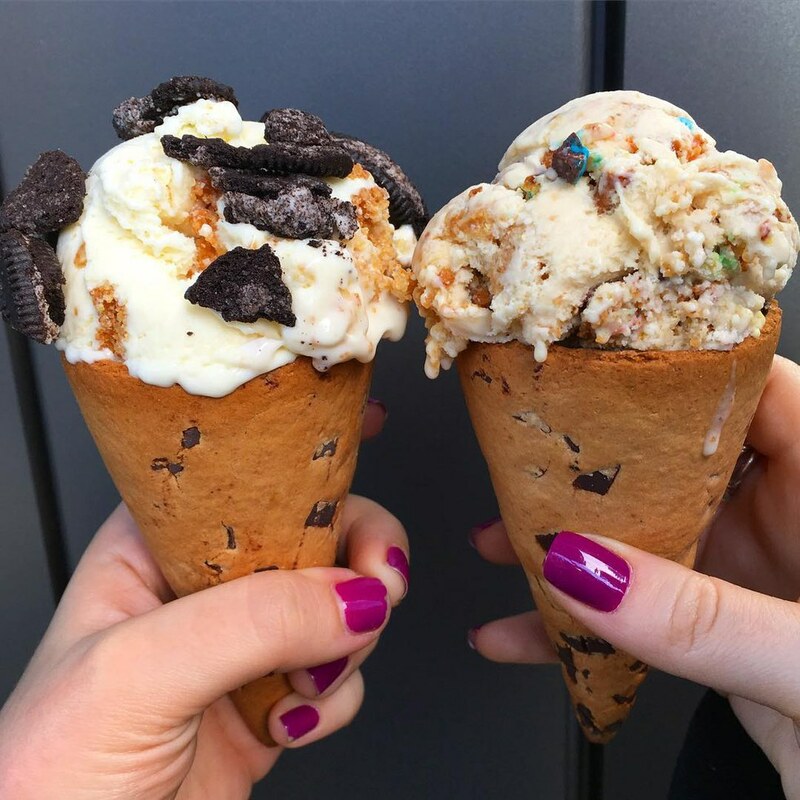 It's also important to note that they sell chocolate chip cookie ice cream cones. (Ample Hills Creamery). What To Get: These bite-sized cupcakes come in a variety of different flavors, but a must-try is their signature Tie-Dye cupcake, complete with tie-dye batter, vanilla icing, and topped with rainbow sugar crystal. (Baked by Melissa). 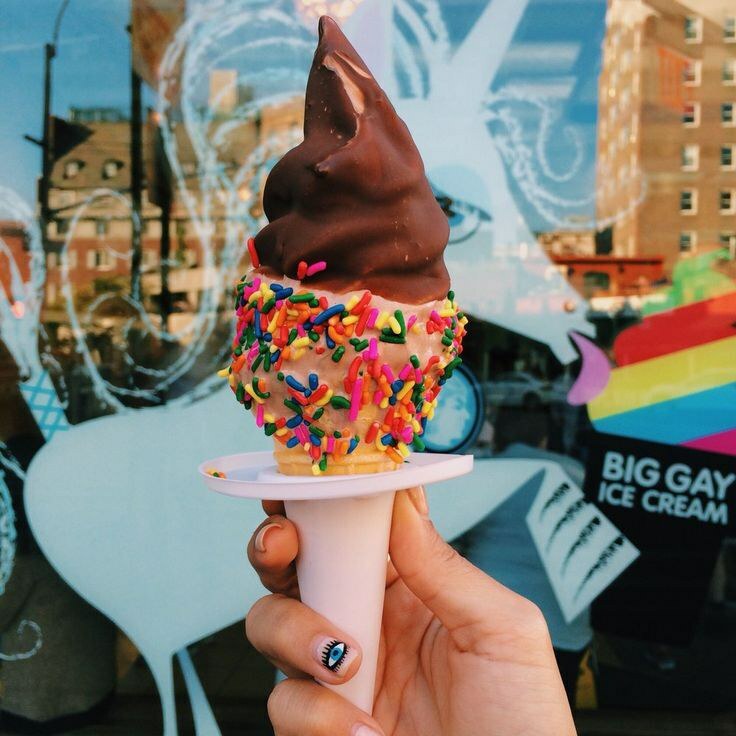 What To Get: This popular ice cream institution has two signature cones: The Salty Pimp (vanilla soft-serve mixed with dulce de leche and coated in "dark, salty shell") and the American Gobs Cone ("ice cream that has dark pretzels smashed into it and is maybe then sealed in chocolate dip"). (Big Gay Ice Cream Shop). 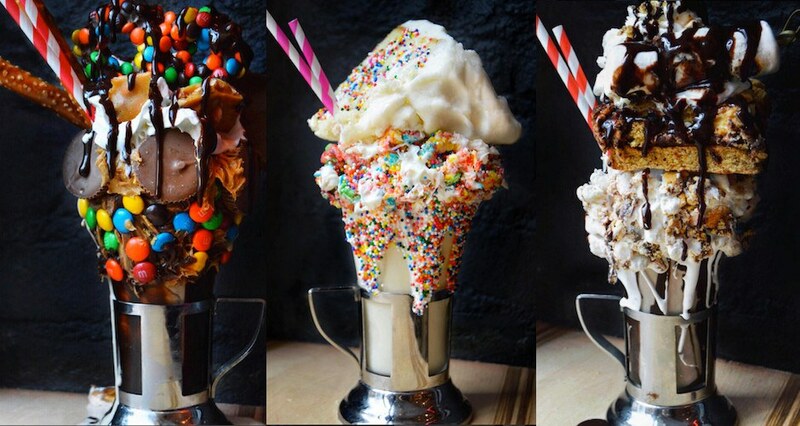 What To Get: Their insane milkshakes, of course! Try out the Sweet n' Salty (a peanut butter shake featuring "chocolate frosted rim with chocolate gems & PB cups topped with a sugar daddy, pretzel rods, chocolate covered pretzel, whipped cream & chocolate drizzle" or The Cookie Shake (a vanilla cookie shake with "vanilla frosted rim with cookie crumbles topped with a ‘cookiewich’, crumbled cookies, chocolate chips, whipped cream & chocolate drizzle"). (Blake Tap NYC). 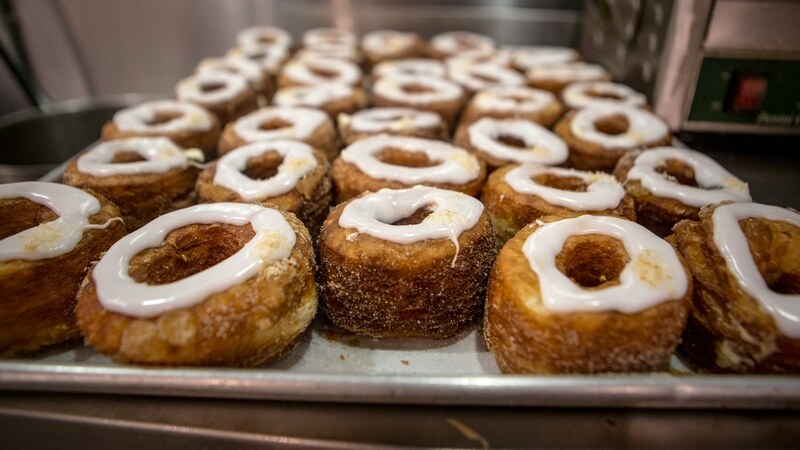 What To Get: You have to try the original Cronut (the "signature half croissant, half doughnut pastry"), Cookie Shots (a cup formed out of a chocolate chip cookie and filled with "cold-infused Tahitian vanilla milk"), and the Frozen S'mores ("signature honey marshmallow wrapped around a Tahitian vanilla ice cream with chocolate wafer crisps"). (Dominique Ansel). What To Get: Their bestselling flavor is Signature Chocolate Chip (featuring "rich flavors of brown sugar and vanilla bean" and of course plenty of chocolate chips) and Cake Batter ("vanilla cake base" mixed with chocolate chips, white chocolate chips, and sprinkles) acts as the second most popular flavor. (Cookie DO NYC). 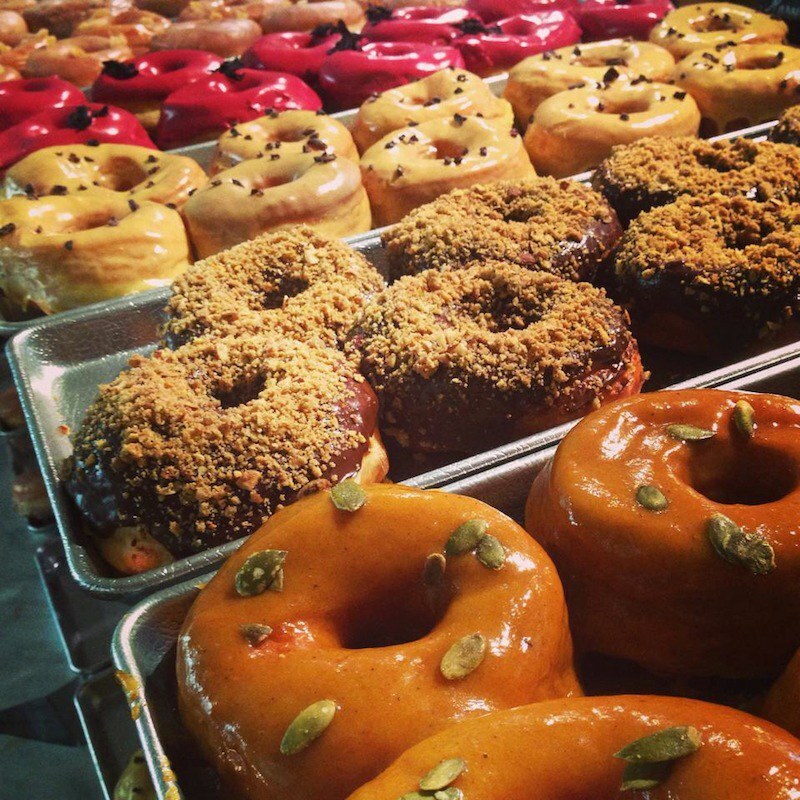 What To Get: Their most famous doughnut is the Hibiscus (which features a "sweet and tangy glaze made with dried Mexican hibiscus, topped with candied hibiscus flower "). (Dough Doughnuts). 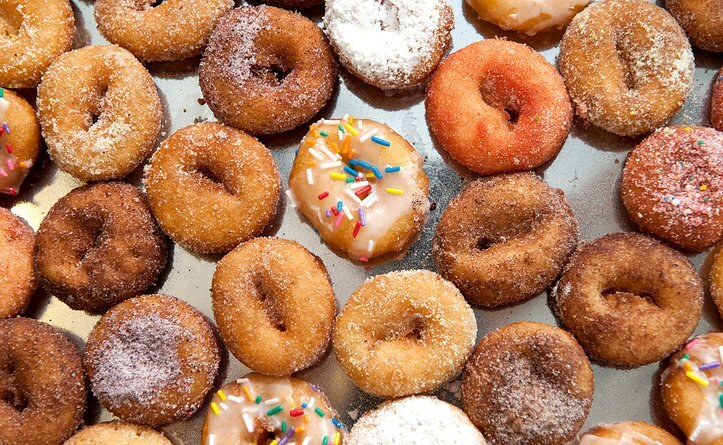 What To Get: Cranking out tasty mini-doughnuts, this place features many unique flavor combinations. However, classics such as Cinnamon Sugar and Powdered Sugar are still considered the most popular. (Doughnuttery). 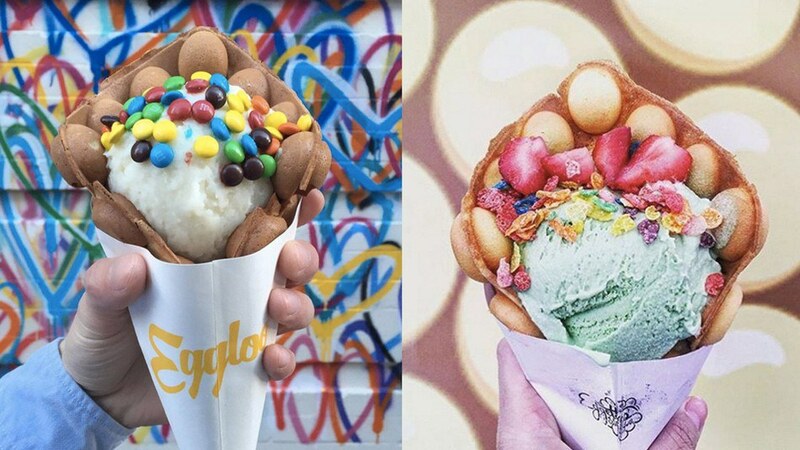 What To Get: Give your ice cream a twist by ordering it one of their famous Hong Kong egg waffle cones! Ice cream flavors are basic, but you get to coat your creation in unlimited toppings. (My Eggloo). 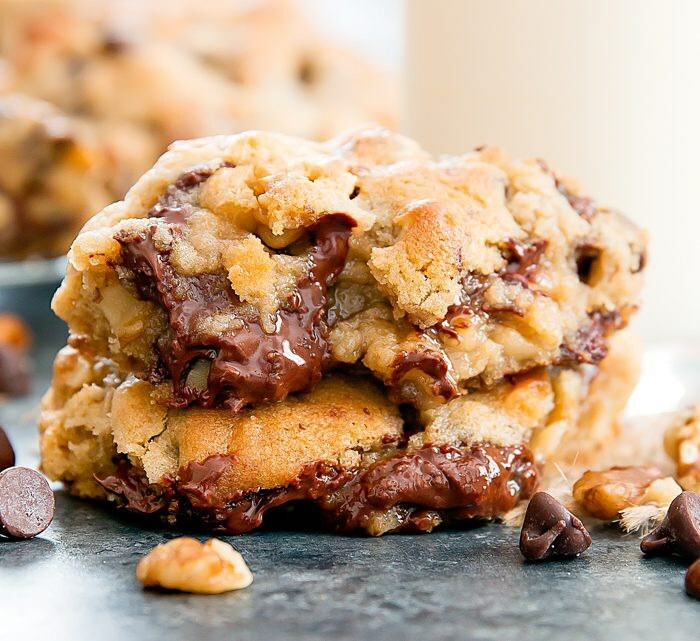 What To Get: Though all of their massive cookies are hits, their Chocolate Chop Walnut flavor is considered their bestseller. (Levain Bakery). What To Get: Their World Famous Banana Pudding (with "layers of vanilla pudding, vanilla wafers, whipped cream, and bananas") is a must. 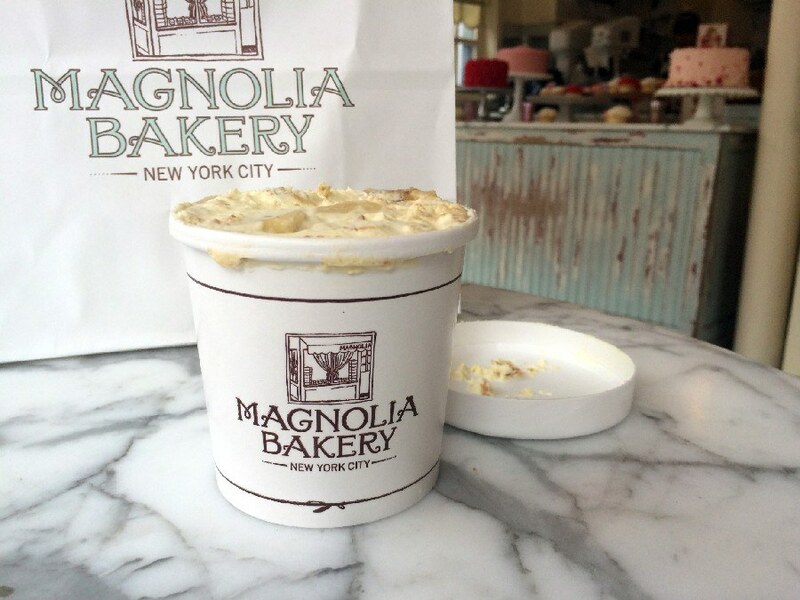 (Magnolia Bakery). 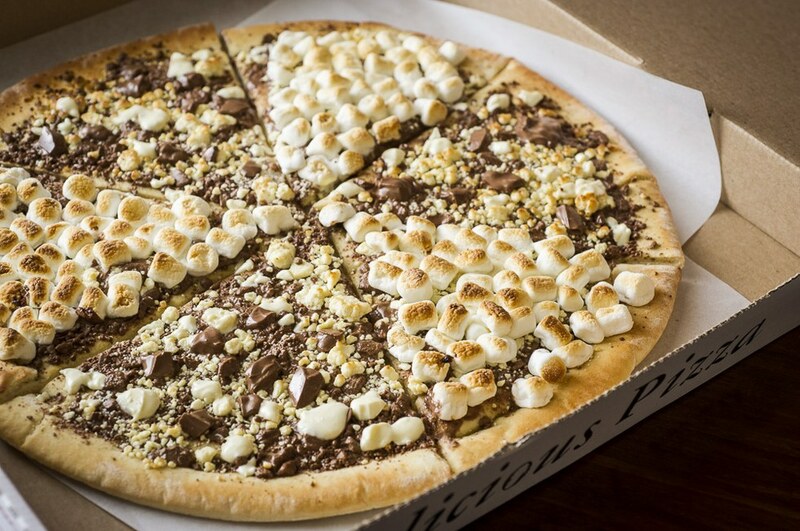 What To Get: The Chocolate Pizza ("features milk and white chocolate chunks and a choice of toppings, including crunchy hazelnut bits, melted peanut butter, and roasted marshmallows"). (Max Brenner). 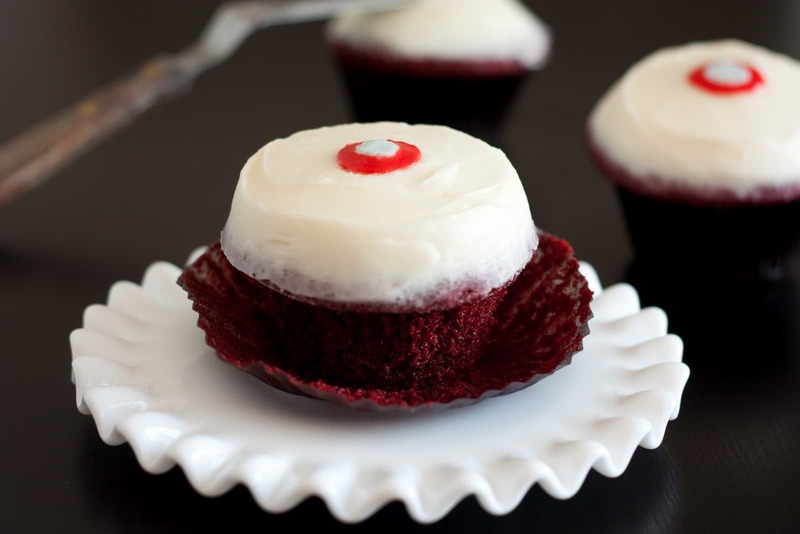 What To Get: Their center-filled Cake Batter cupcake (with "vanilla confetti cake, raw cake batter, vanilla buttercream, festive sprinkles") is considered one of their most popular flavors. 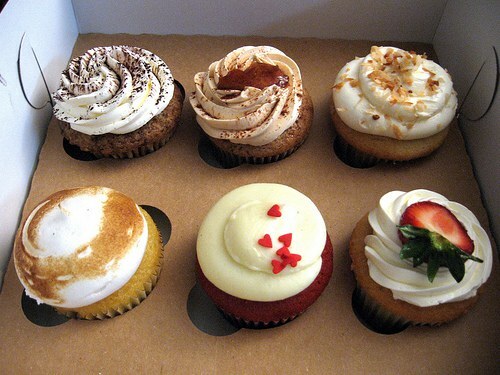 (Molly's Cupcakes). What To Get: This place serves many well-known treats! 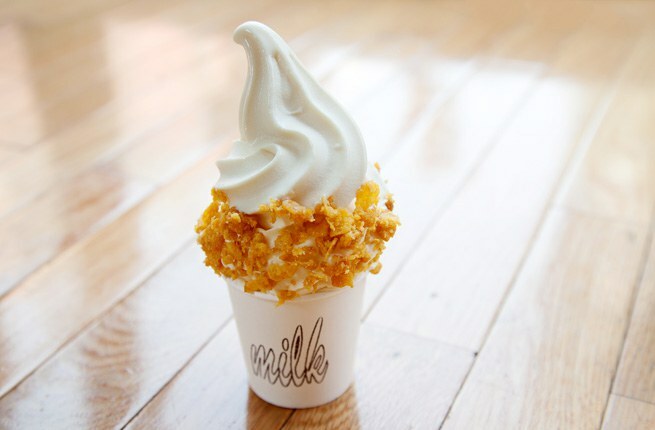 There's Cereal Milk Soft Serve ("made with milk, cornflakes, brown sugar and a pinch of salt"), Crack Pie ("toasted oat crust with a gooey butter filling "), and their Birthday Cake ("vanilla rainbow cake layered with rainbow cake crumbs, topped with vanilla frosting "). (Milk Bar Store). 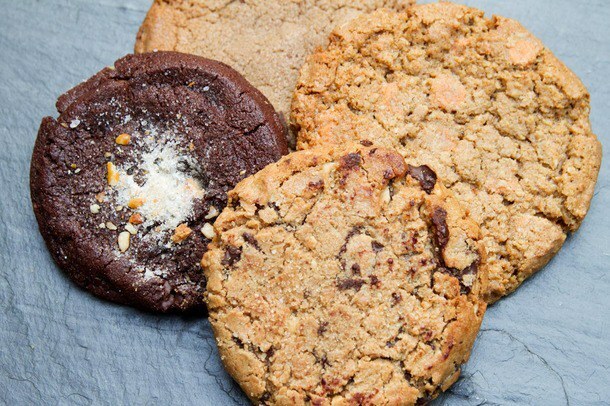 What To Get: Their bestsellers include Classic Chocolate Chip (featuring semi-sweet chocolate chips and a dash of sea salt), Maple Bacon ("candied bacon, maple syrup, toffee bits, and sea salt"), Funfetti (a sugar cookie topped with vanilla cream cheese frosting and rainbow sprinkles), and Cookies & Cream (dark cocoa, white chocolate, oreo bits, and vanilla cream cheese frosting ). (Schmackery's). 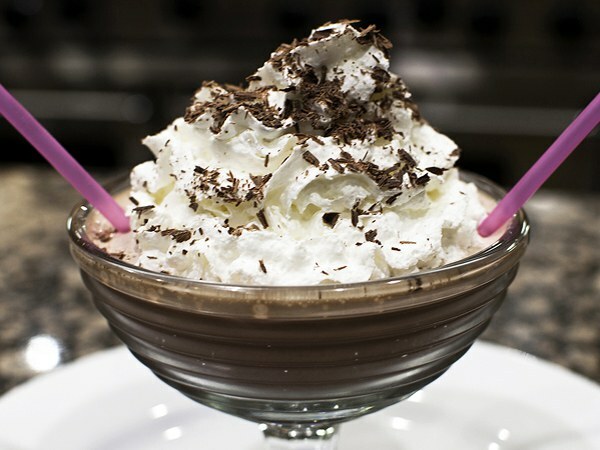 What To Get: Their famous Frrrozen Hot Chocolate is a must. What To Get: Bestsellers include Red Velvet ("southern style light chocolate cake with cream cheese frosting") and Vanilla ("Madagascar bourbon vanilla cake with creamy vanilla frosting"). (Sprinkles). 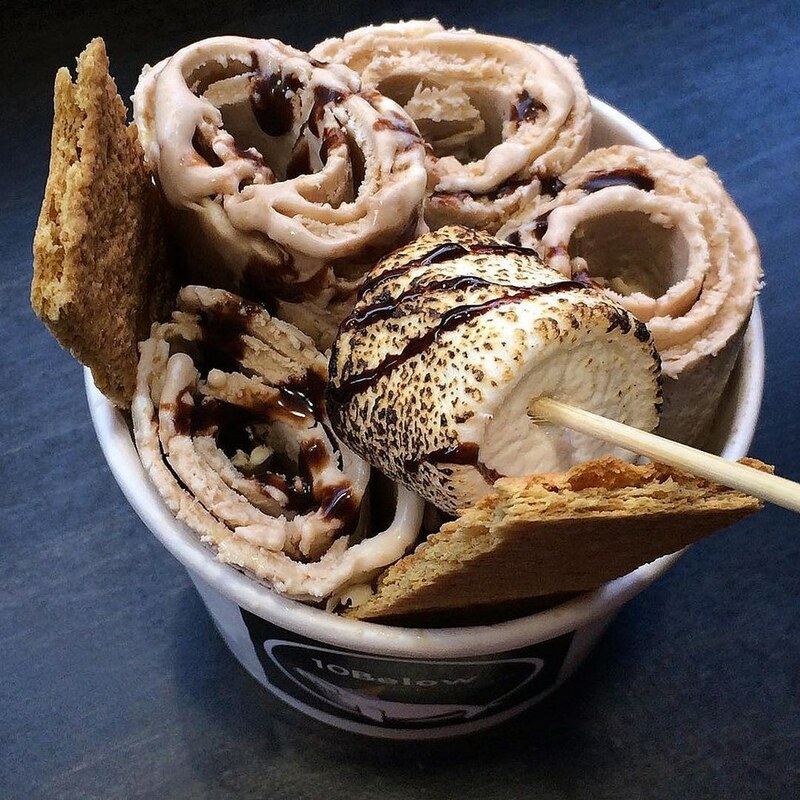 What To Get: Home of the original rolled ice cream in NYC, their most popular flavor is I Love You a Latte ("house brewed coffee, condensed milk") and your choice of toppings. (10 Below Ice Cream). 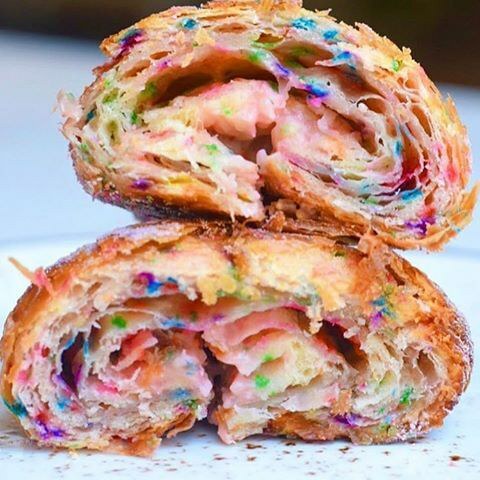 What To Get: The bakery is well-known for their unique and fun croissant flavors, such as Birthday Cake, Red Velvet, and Cookies n' Cream. Are you hungry for dessert yet? 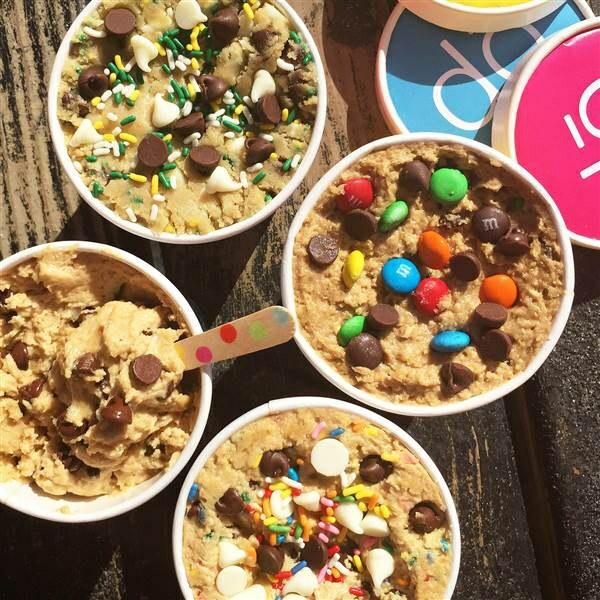 Anyone with a serious sweet tooth must add these places to their ultimate food bucket list and give them a try the next time they find themselves in NYC!